More than 2 in 5 (41%) shoppers are aware of syndicated reviews on retailer websites. Among those aware of syndicated reviews more than 1 in 4 (27%) say that it influences what they buy. 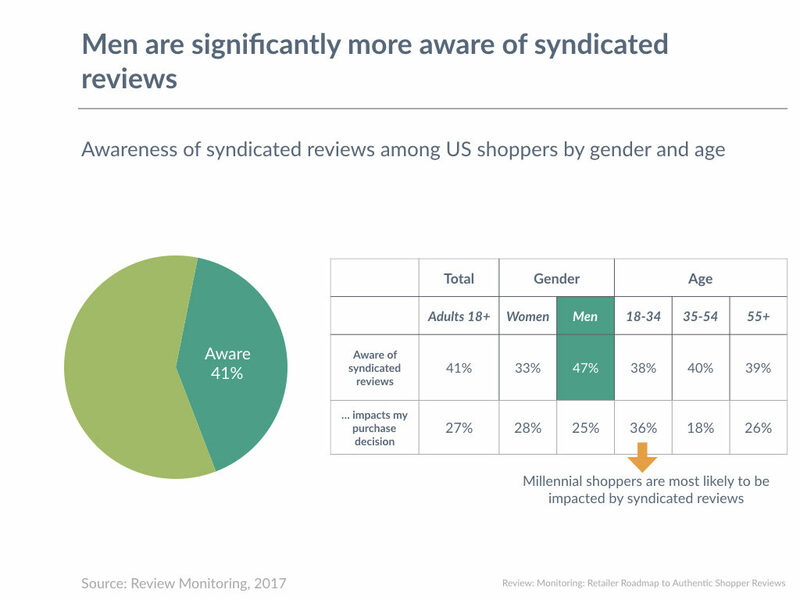 Awareness of syndicated reviews is greater among male shoppers (47%) compared to female (33%). Young millennial shoppers 18-34 year old (36%) are more likely to be influenced by syndicated reviews than older shoppers. 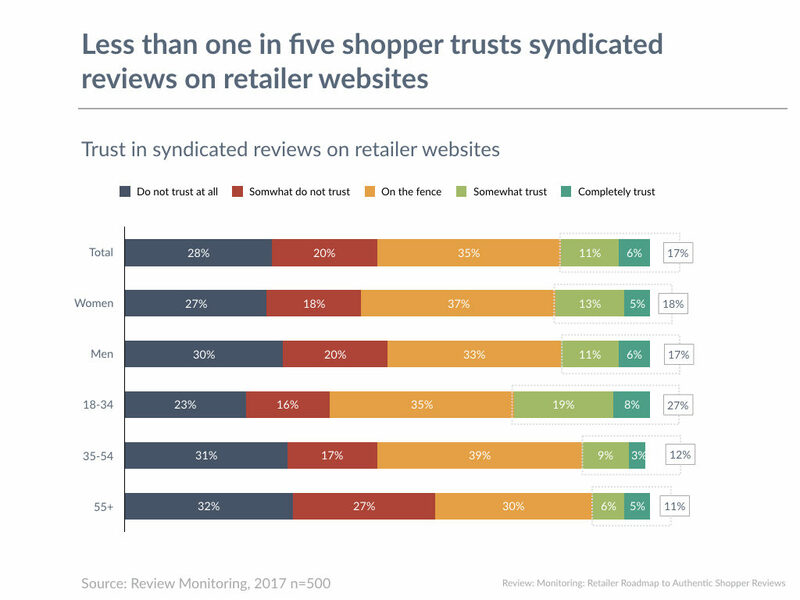 Retailers biggest hurdle in driving shoppers to buy from them is in the perceived trust of online reviews on their website. Just over 1 in 5 (21%) online shoppers say they somewhat or completely trust online reviews that were originally posted on the retailer website. 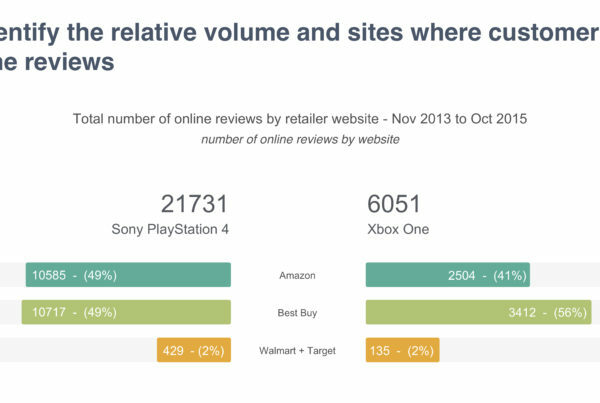 However this does not mean that shoppers do not trust online reviews on retailer websites. The majority of online shoppers are on the fence when it comes to putting their trust on online reviews they come across while browsing a retailer’s website. Almost 2 in 5 (39%) pick a neutral stance saying they neither trust, not distrust online reviews on retailer websites. The inclusion of syndicated and incentivised reviews, however, does not seem to move the needle on consumer trust. 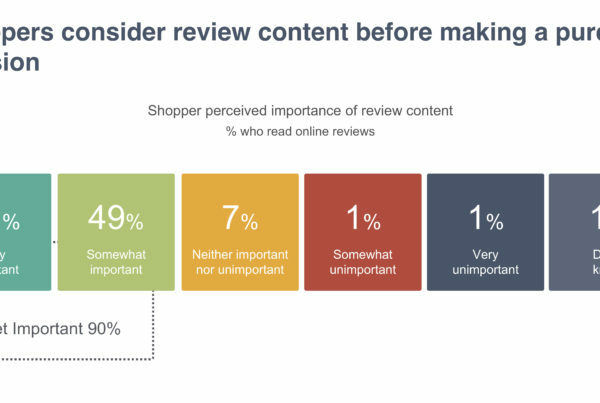 Overall trust in reviews declines to less than 1 in 5 (17%) when shoppers see reviews sourced from other websites. 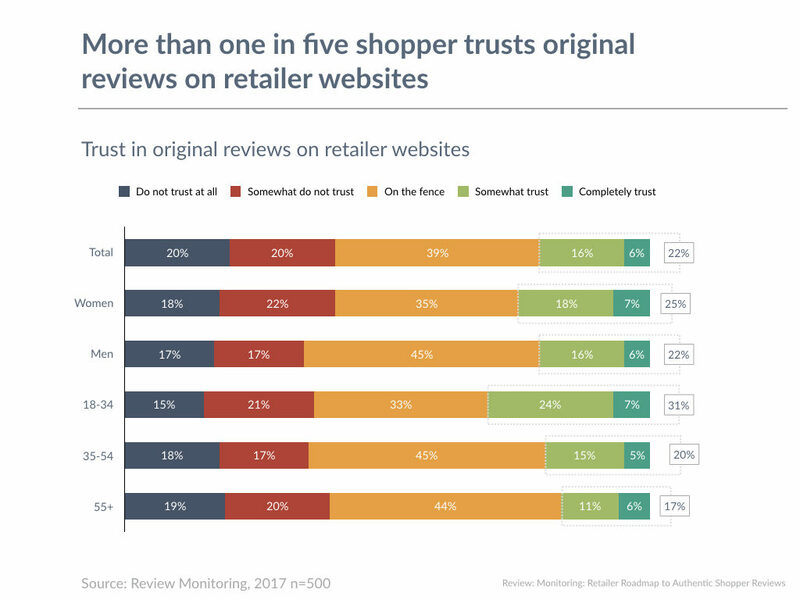 In fact, syndicated reviews seem to add to consumer skepticism with almost half of online shoppers (48%) say they would not trust the review. 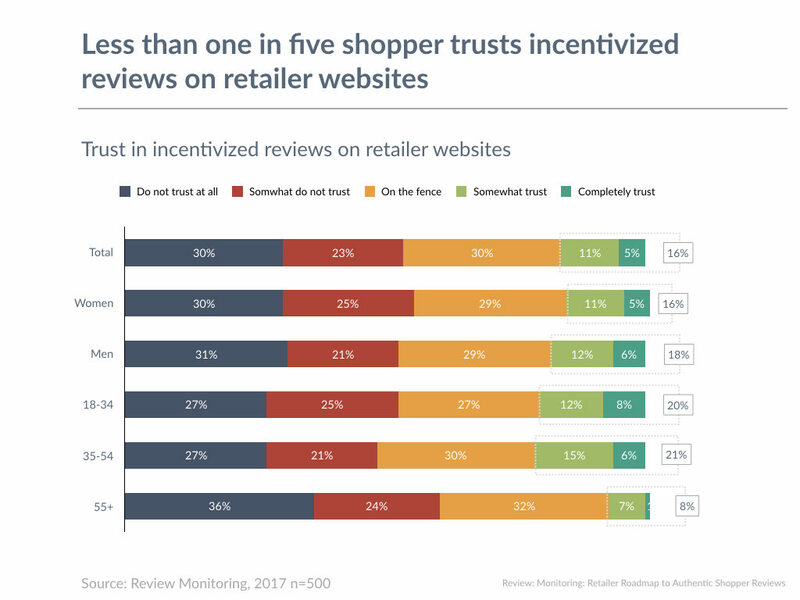 Similarly, incentivized reviews also increase consumer skepticism with more than half (54%) saying they would not trust paid-for online reviews. This applies not only to directly paid-for reviews from anonymous non-buyers, but also to endorsements from online personalities. Shoppers look for feedback from other shoppers who go through the same research and decision experience. They are more likely to be influenced by relevant reviews. While syndicated reviews are better than no reviews at all, retailers cannot rely on syndicated and incentivised reviews only. 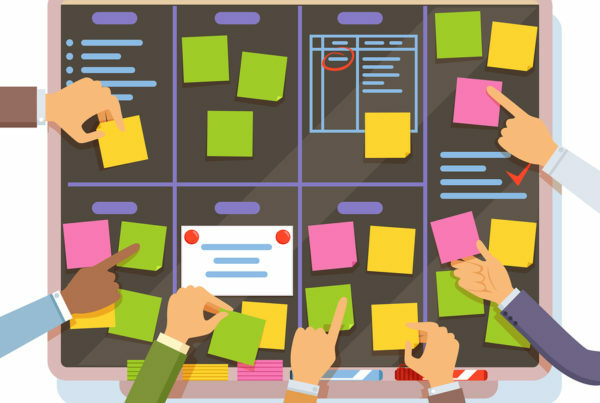 Syndication and paid for reviews are less effective than original reviews, when it comes to connecting with the anxiety of a shopper about to make a purchase decision. In the long term, they could do more harm driving shoppers to buy from websites such as Amazon and eBay.